Using storytelling to unpack a complex business model and communicate with various markets with one communication channel. mPharma, a data information company based in Ghana, imagined a digital platform to revolutionize the pharmaceuticals delivery ecosystem in Central Africa. This new business model needed to be communicated clearly to gain support from key stakeholders. 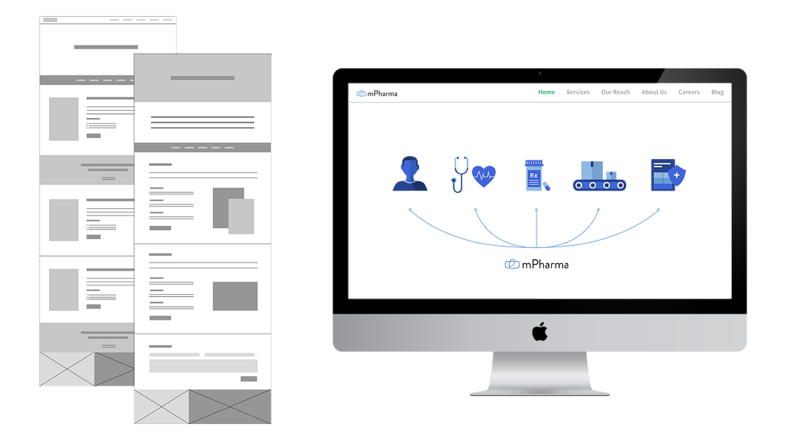 Essential helped mPharma visualize its model as simple, clear stakeholder stories and developed a website that emphasized this storytelling approach. By engaging stakeholders in familiar stories that addressed their challenges, Essential helped mPharma to acquire the trust of key users and establish themselves in the market. mPharma earned a reputation as an innovative service provider that gathers disease occurrence information and delivers high-quality medicines to the locations where they are most needed. The business model is quite complicated and communicating it to stakeholder groups a challenge. Essential, together with mPharma, realized that the overall business model is easily understood in smaller stakeholder stories and developed a website design that supports this storytelling approach. 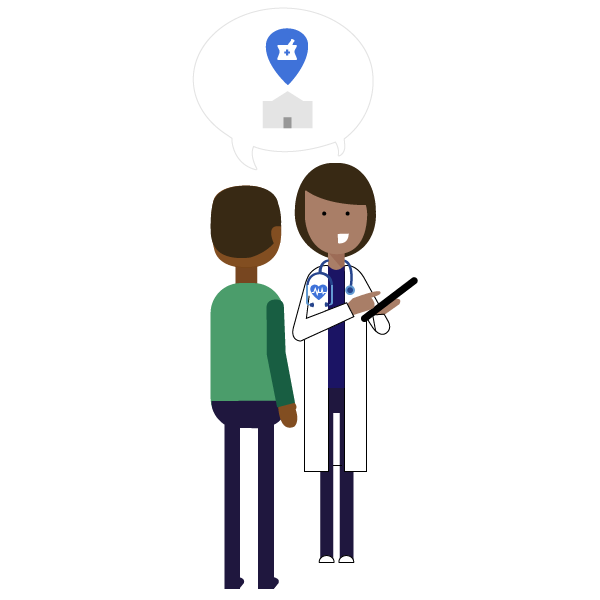 In addition to introducing stakeholders, their challenges, and the mPharma solutions, Essential also developed a series of illustrations to communicate the stakeholder stories and the visual design of the corporate website.